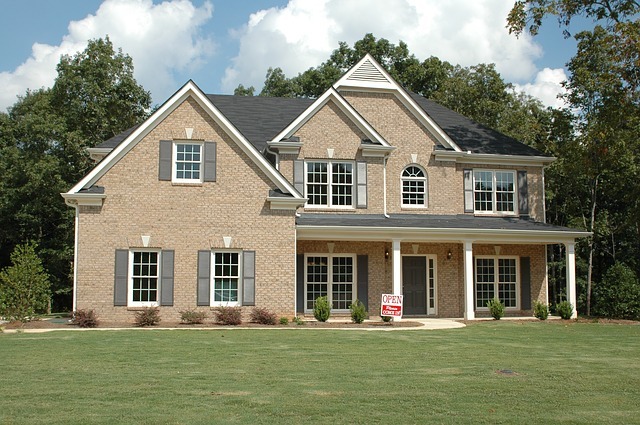 The new trend in home remodeling is to build energy-efficient homes. There are many advantages to living in one of these types of home. Reducing energy use in a home results in lower utility bills for homeowners and is eco-friendly too! One of the few downsides of owning this type of home is that energy-efficient homes in Fort Wayne require carpet cleaning more frequently. The reason these homes are considered energy-efficient is because they’re sealed much tighter than traditional home builds. This means windows, doors and other exterior access points are sealed extremely well so air doesn’t escape the home as often and it just recirculates over and over. The air in your home doesn’t stay clean forever. Dust accumulates as do odors and those odors will then recirculate in your home over and over. The dust and other particles don’t escape energy-efficient homes easily or often and instead eventually settle into the wall-to-wall carpet. The more dust, dirt and bacteria that accumulate on carpet the greater chance for carpet odors as well as the potential for mold growth. You won’t love your energy-efficient home near as much if you have mold in your carpet or a buildup of dirt and other germs. This means the only way to remove the dirt and dust is to schedule a carpet cleaning service in Fort Wayne. The right local carpet cleaner can remove embedded dirt and allergens from carpet and restore the clean, fresh air in your home. 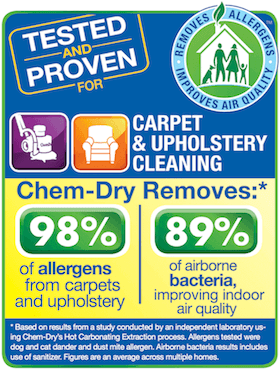 Chem-Dry of Fort Wayne offers deep cleaning to eliminate germs and bacteria as well as particles and dust in carpet. We even remove 98% of allergens from carpet too! If you live in an energy-efficient home, you are likely eco-conscious. Great news! Chem-Dry of Fort Wayne uses only green-certified products for our superior results! This delivers a healthier clean for your home and your family too. To schedule carpet cleaning for your energy-efficient home, call (260) 409-1138.